Spend hours playing your favorite card game while taking a trip down memory lane with this 52 image deck of Scooby Doo playing cards. All your favorites from Shaggy and Scooby to Velma and Daphne. 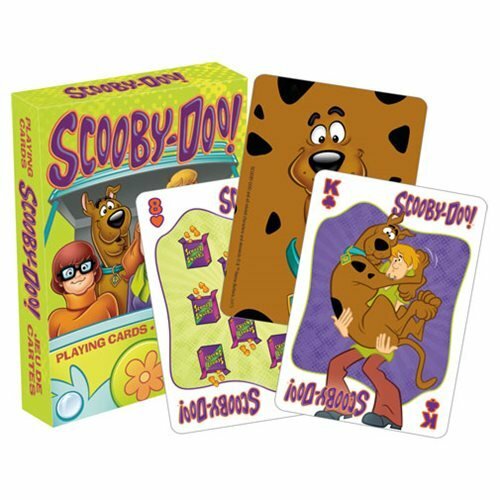 The Scooby-Doo Playing Cards measure approximately 2 1/2-inches x 3 1/2-inches and have a linen type finish on them. Great for fans and players alike. Ages 14 and up.